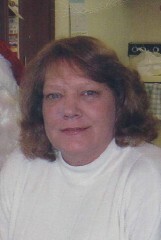 Trinda Wegener, 64, of Milford, IN passed away on March 18, 2015 at the Lutheran Hospital in Fort Wayne. She was born on August 7, 1950 in Coldwater, Michigan. She worked many years at Johnson Controls, Bertch Vending, and later on at Millers Merry Manor in Syracuse. She is survived by her 2 sons – Scott (Jessica) Wegener of Syracuse, Quinn (Sarah) Wegener of Syracuse. 4 grandchildren – Justin, Brendan, Cayden, and Aundreya Wegener all of Syracuse. 1 sister – Patty Workman of Syracuse. 3 brothers – Elmer Steele of Syracuse, Rick Gay of Syracuse, and Carl Thompson of Goshen. Several nieces and nephews also survive her. She was preceded by her granddaughter – Audrey Wegener as well as her brother Dewey Gay and her parents Cecil & Elaeanor Steele. A memorial service will be held Sunday, March 22, 2015 at 5 pm at the Eastlund Funeral Home. Visitation will be Sunday, from 2-5 pm prior to the service.